Sequencing games sharpen our ability to remember the order of events—a fundamental skill in comprehending what you read and hear. Your job is to focus your attention to correctly replay each sequence. As you will notice, the melodies you hear are randomly generated each time you play, so you can't "learn" the game. The only way to successfully make it to the next level is to carefully look and listen. When you play my Simon Game, you practice this skill by hearing the 1st, 3rd, 5th, and 8th notes of the "C" Major Scale. These pitches are used in many of the songs you already know. For example, click the buttons on the left to play the beginning of the Star Spangled Banner: Oh — Say Can You See; or the Limbo Rock: Ev-ery lim-bo boy and girl; or Rock Around the Clock; One, two, three o'clock, four o'clock, rock, Five, six, seven o'clock, eight o'clock, rock, Nine, ten, eleven o'clock, twelve o'clock, rock, etc. Notice how the buttons light up and play the four pitches. 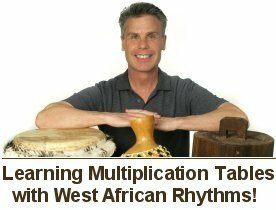 Listen carefully to the sound of each button—doing this will help you remember the sequences. When you're ready to play, begin by pressing START.